If teen dating violence is a pattern of behaviors based on power and control, why do some individuals become abusive in the first place? The need to control a partner is something that is learned throughout life, whether in the media, movies, and music, or from family, classmates, or our community. When constantly shown examples of unhealthy or violent relationships, it can become harder to recognize healthy and non-hurtful behaviors. This is what sets up the basis for violence to become normalized. Gender norms are how society expects people to behave based on their perceived gender. These stereotypes are not natural or inevitable. Women do not naturally know how to cook better, and men are not guaranteed to be more aggressive. We learn these traits from our families, culture, and society. These expectations can contribute to TDV in a number of ways. so then how do these gender roles contribute to tdv? We can't generalize or make assumptions for any one because of their perceived gender, obviously it’s not that simple. We shouldn’t have to like/dislike things because society says so. But, if these gender norms are pushed onto us from the moment we're born, it’s not surprising we see them in our relationships. If masculine identified individuals are only shown to be dominant, controlling, and aggressive; there leaves little room for that person to show any emotion other than anger. He might be more likely to control a dating partner and think it’s his right to take away their power or be possessive (i.e. abusive). He might become overly aggressive towards other people he views as a threat to his dominant position, which could lead to fights, jealousy, possessiveness, and other forms of aggression. 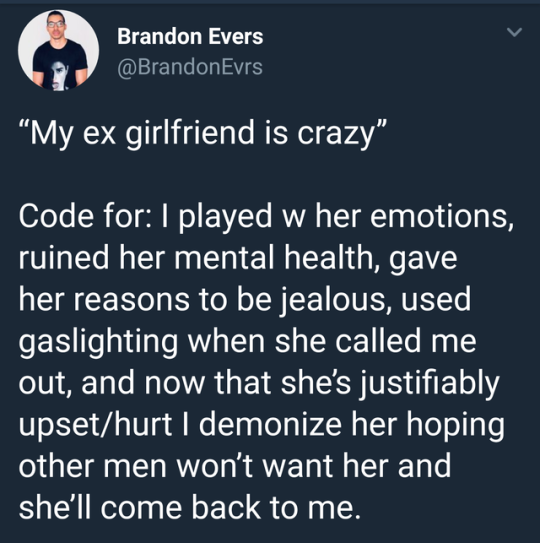 Or he may feel a need to protect his ego if the relationship ends, such as posting or sharing explicit photos or calling them "crazy". If a feminine identified individual believes her voice is less important, she may not feel like it’s her place to speak back to an abusive partner or be clear of what she wants. She may think that being passive or submissive is her role in the relationship. This could show up in situations of sexual intimacy as well, where she feels unable to speak back or give consent to a partner’s demands, leading to to situations of sexual assault, continued dating violence, or even just unfulfilling intimacy. Also, she may feel like she cannot be honest about what she wants or thinks without being called "emotional" or "crazy"
<< Check out these videos for more on gender roles and breaking through them. Trust us, they're pretty good.